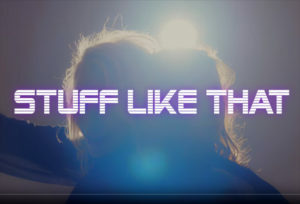 STUFF LIKE THAT – NEW SINGLE AVAILABLE NOW! Bananarama have revealed that the first single taken from their forthcoming studio album, In Stereo, is the disco stomper Stuff Like That. Available everywhere now, the single proves testament to why Sara Dallin and Keren Woodward have been one of pop’s most influential and revered groups. Laced in their trademark DNA, Stuff Like That is the perfect taster of what to expect on In Stereo, their upcoming 11th studio album. The electro pulses throbbing through newly revealed track Dance Music; the new single Stuff Like That - a boisterous Saturday night pure disco; the moody echo vocal effect on the bridge of I’m On Fire; the Blondie-ish buzz to Looking for Someone; the spare, house music bassline to Tonight. Finishing on a ballad, as all the best Bananarama albums do, on the sad and gorgeous On Your Own. 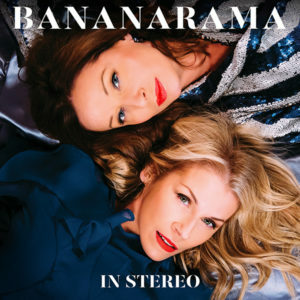 In Stereo is Bananarama back to their pinnacle best, a ten-track total recall on their irresistible pop storytelling capacity. Bananarama have also collaborated with producer royalty Richard X on the stomper Love In Stereo.